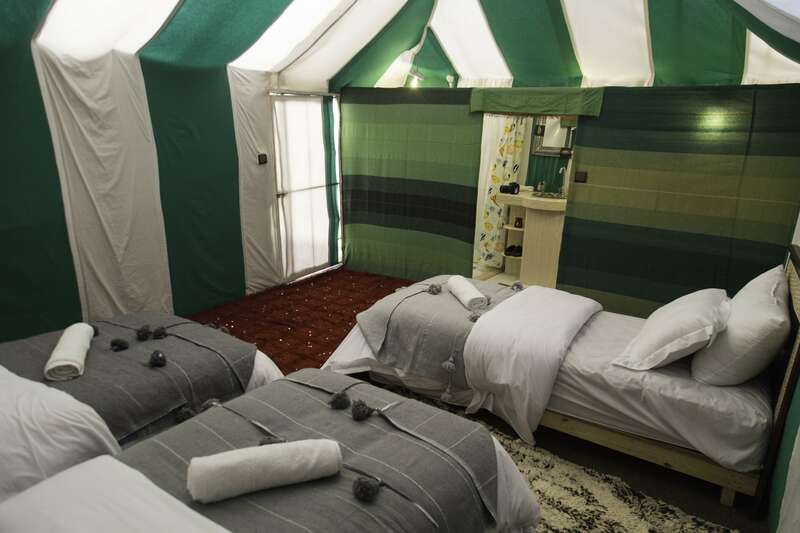 This kind of tent we have 2 different ones. 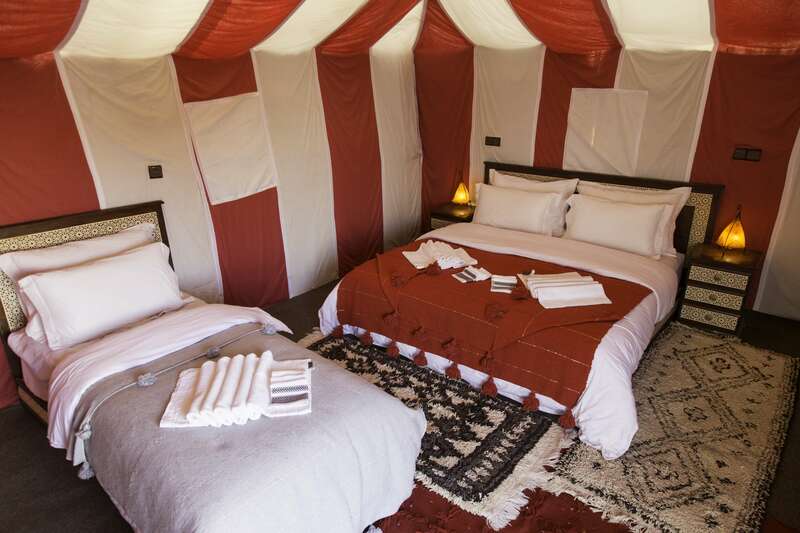 One with big double bed + single bed and another tent with 3 separate beds. 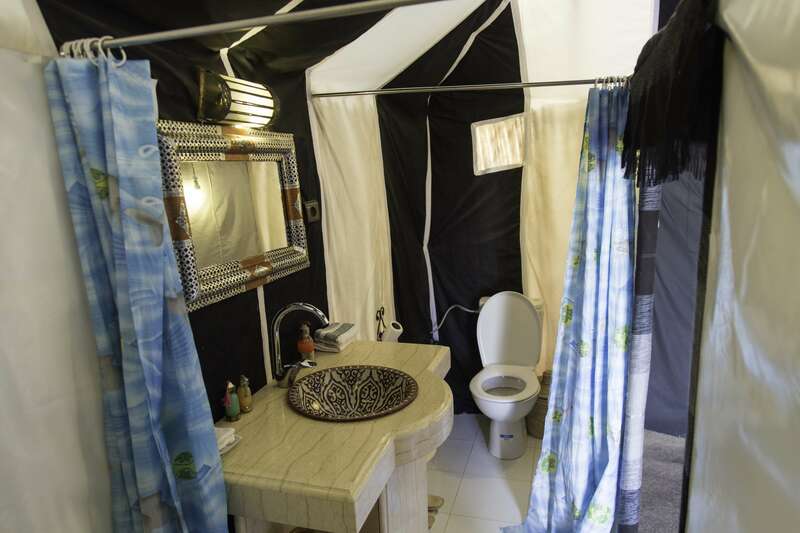 Both tents contain private shower and WC + hot water and electricity. 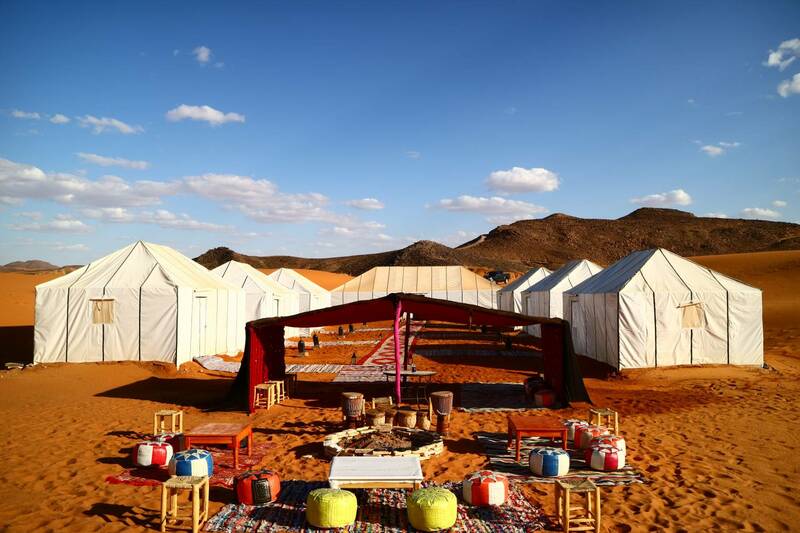 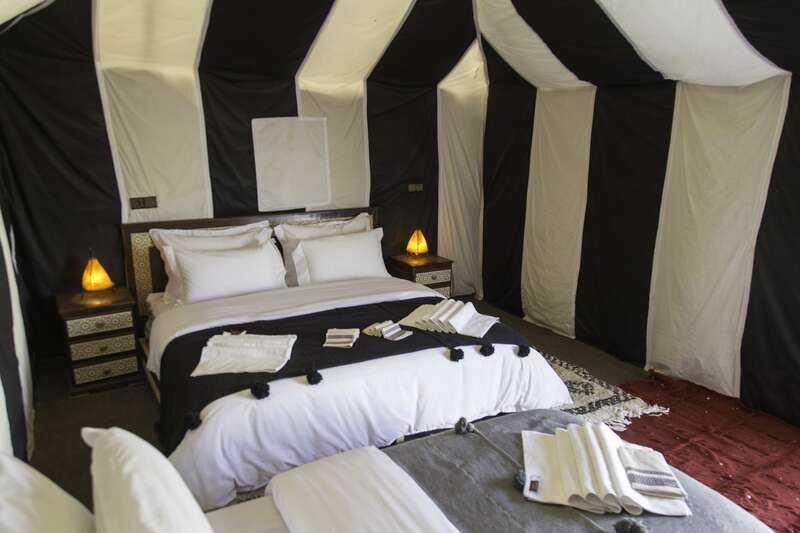 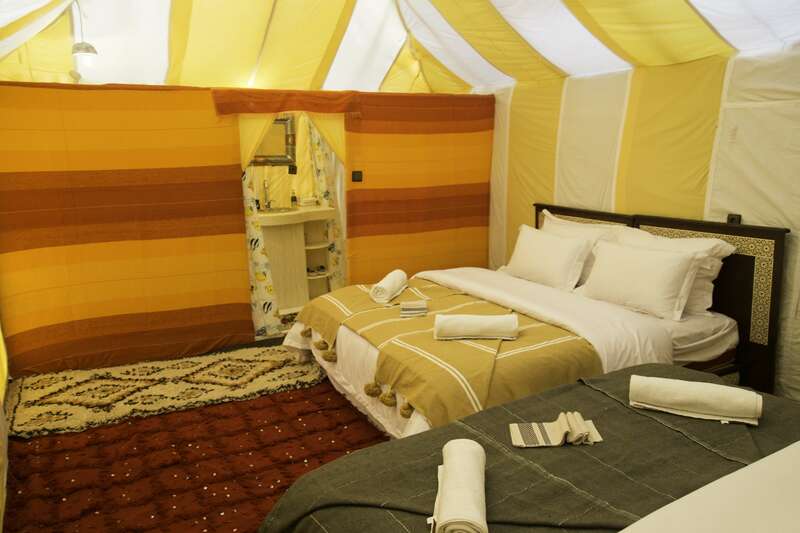 The tents were made especially for couple or family of 3 people (Couple + adult) or for 3 people (Friends or brothers).